Sita Steckel received her doctorate in medieval history in 2006 from LMU Munich. Her first book, on cultures of teaching and religious expertise in Western Europe c. 800–1150, will appear in 2010 (Kulturen des Lehrens im Früh- und Hochmittelalter). She worked as a researcher/lecturer (Wissenschaftliche Mitarbeiterin) with Professor Martin Kintzinger at the University of Muenster in 2004-2008. 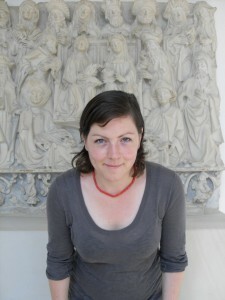 Since 2008 she has been a research fellow at the interdisciplinary Exzellenzcluster “Religion and Politics in Pre-Modern and Modern Cultures” at Muenster. She is spending the academic year 2010/11 as a postdoctoral fellow at Harvard University’s Humanities Center. Her current project is a study of ecclesiastical conflict culture, focusing on the political, religious, and intellectual clashes between the secular clergy and the Franciscan and Dominican orders in thirteenth- and fourteenth-century France, not least in the social microcosm of the medieval university of Paris. Perspectives and questions connected to this research project concern the interrelation of legal and religious argumentation in the medieval period, the role of conflicts as catalysts for long-term developments, and problems of the modern historiography with its conflicting master narratives of secularization and religious radicalization in the Western Middle Ages.